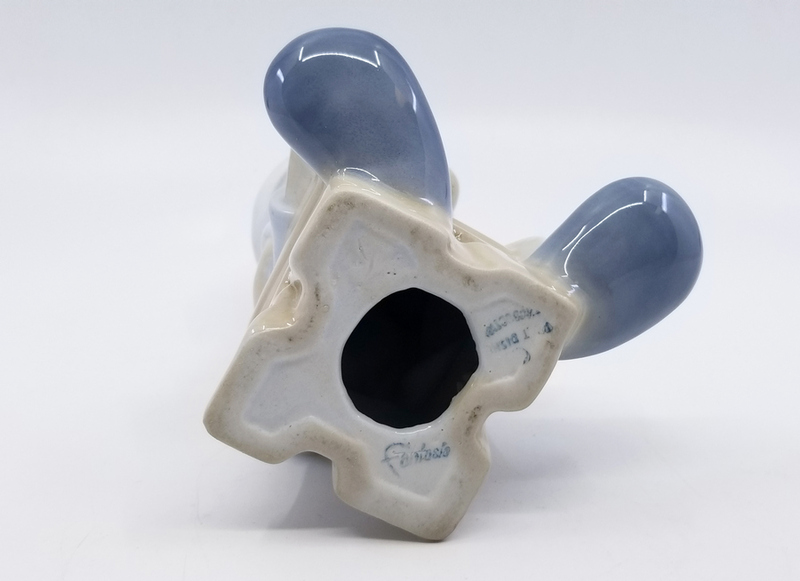 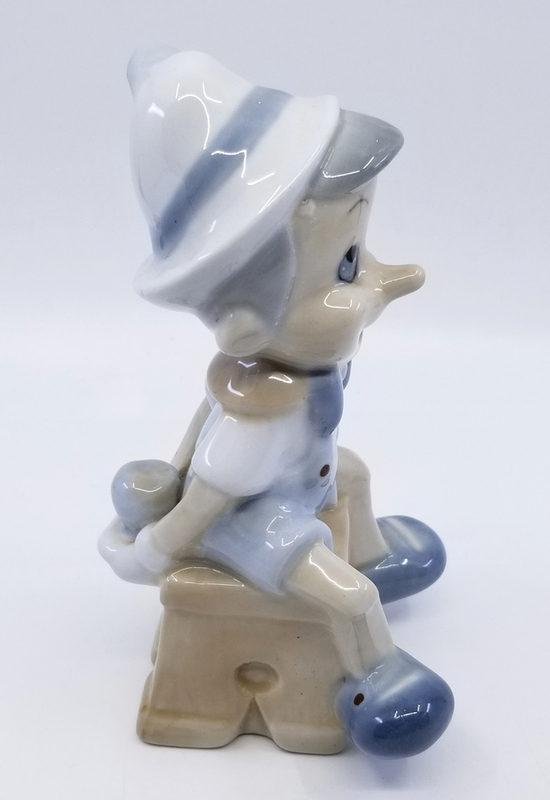 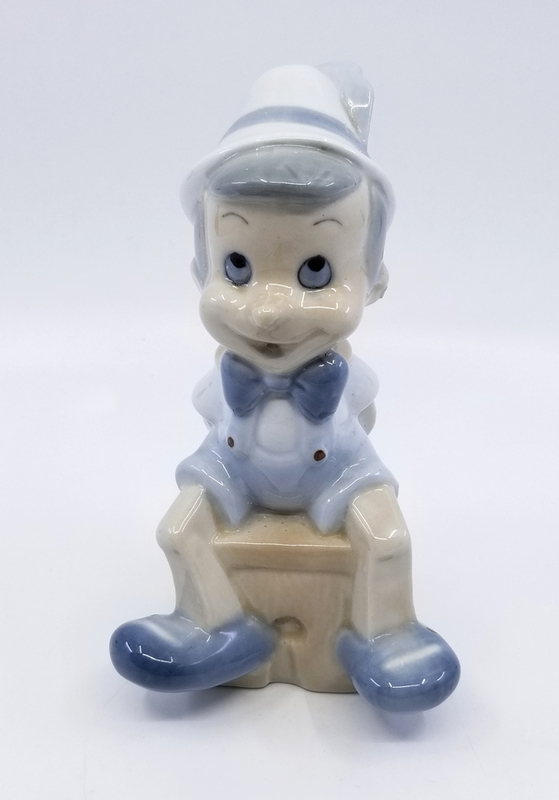 7.25" x 4" x 3.5"
This is a vintage ceramic figurine of Pinocchio from the 1950s/1960s that was produced in Spain. 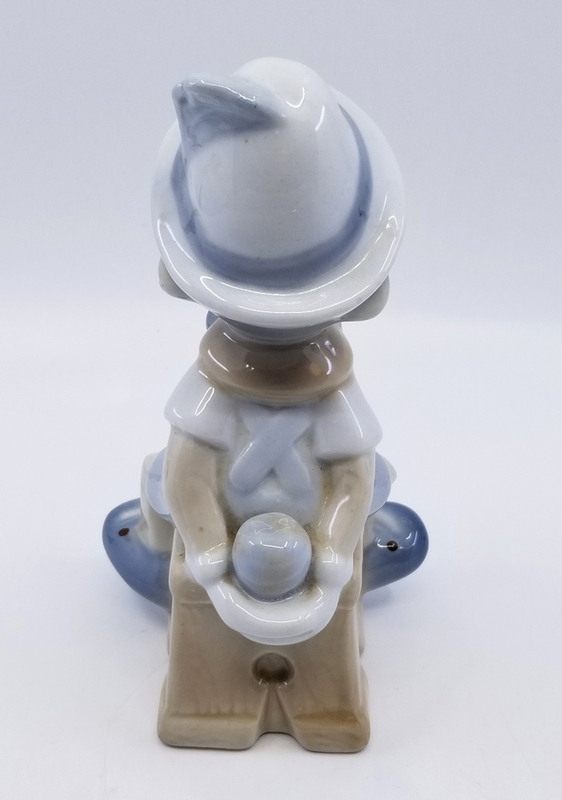 The figure measures 7.25" x 4" x 3.5" and features a very delicate blue tone paint palette which captures the gentle nature of the character. 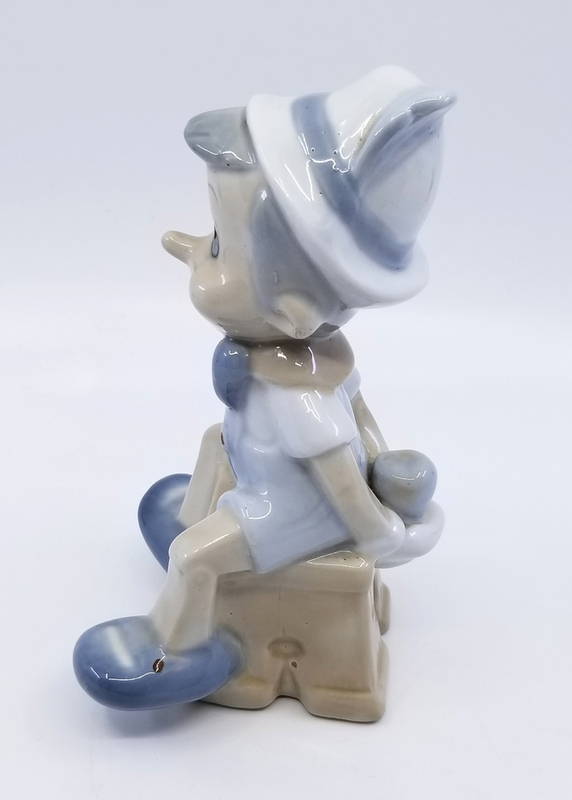 The figure is in very good condition and is stamped "Walt Disney Productions, Made in Spain" on the underside.